Apple has yet to strike a deal with any of the four main banks - ANZ, National Australia Bank, Commonwealth Bank and Westpac. Apple is struggling to persuade Australia's big banks to sign up for its Apple Pay mobile payment system, people familiar with the matter say, as the technology giant works from an unfamiliar negotiating position: weakness, not strength. 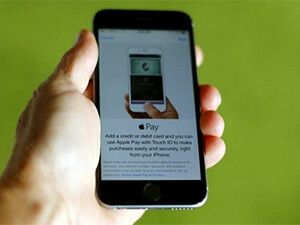 Apple rolled out the service in Australia last month with support for payment cards issued directly by American Express. The move is part of the iPhone supplier's global drive to extend its mobile consumer electronics prowess into financial services, with a China launch expected soon. But the firm has yet to strike a deal with any of the four main banks - ANZ, National Australia Bank (NAB), Commonwealth Bank and Westpac. That sets it adrift from 80% of consumers using mobile payments systems linked to other credit cards in a market Westpac sees as being worth more than $2 billion this year. "The banks here feel like they've done the hard work in bringing contactless payments already to Australia and Apple is just going to come in...and eat their lunch," said Foad Fadaghi, managing director of technology research firm Telsyte. Apple declined to comment, citing company policy. The firm has faced - and eventually dealt with - hurdles rolling out the service in other markets such as the US, where contactless payments are rare, and in Britain, where it faced resistance from big banks over fees before relenting. Yet analysts say Australia's banks are unique, having forged ahead of the banking industry elsewhere in developing contactless payments systems. Like the people familiar with negotiations between Apple and the lenders, sector watchers say the banks feel little sense of urgency to conclude a deal. A source at one of the Australian banks, who wasn't authorised to speak publicly, said Apple did not understand the market and was trying to fill a gap that does not exist. "It's a different world here," he said. "Where's the value in this for the banks?" The lenders' approach is one that could also stymie other tech players potentially interested in rolling out payments systems in Australia, including Apple rival Samsung Electronics, now expanding its own Samsung Pay system. Neither ANZ nor Westpac responded to requests for comment and Commonwealth declined to comment, citing the confidential nature of any negotiations. NAB declined to answer questions, but a spokesman said in an email that it remained open to negotiations. "We are very alive to these innovations and the expectations of our customers. We continue to work with potential players in this space, but there is no more we can tell you at this time," NAB spokesman Nick Higginbottom said. As the negotiations drag on, analysts say Apple may seek to build momentum for Apple Pay through partnerships, software and feature upgrades to entice consumers. Apple Pay gives the consumer electronics supplier a chance to tie customers more tightly to the popular iPhone, as well as the Apple Watch. In return for the convenience of making payments from smartphones or smartwatches, Apple takes a tiny slice from each retail transaction. Apple's iOS operating system was used in roughly 37% of mobile devices sold in Australia in September, according to data published by research firm Kantar Worldpanel, second only to Google's Android system. Contactless payments have also skyrocketed since their introduction in 2010, accounting for 22% of face-to-face transactions in 2014, according to a Reserve Bank of Australia report. That's because the major Australian banks already offer sophisticated smartphone apps for mobile payments and contactless payment on their bank cards, without significant competition from tech firms. All of those factors have combined to reinforce the banks' negotiating position. That has angered opposition Labour Party lawmaker Ed Husic, who last month wrote a letter to the RBA accusing the lenders of engaging in anti-competitive behaviour at consumers' expense. "The bottom line is we've got an arm wrestle going on here and the longer it goes on, the longer the customers have to stand by at the edges...waiting for some sort of resolution," Husic told Reuters. For Husic, the longer the stalemate drags on, the more likely a potential investigation of the banks for anti-competitive behaviour becomes. "If it drags on, I think the drum beat for that type of action will grow," he said. In a written response to Husic's letter, RBA Governor Glenn Stevens said the central bank does not interfere unless there are public interest issues at stake. "The Bank's discussions relating to Apple Pay have not provided any evidence that Australian banks have been 'boycotting' Apple Pay," Stevens wrote.